Writing Tips: Will Everyone Please Sit/Set Down! The following is by Writers in the Grove member, Gretchen Keefer. Set, set, set: This verb is so busy placing objects in various locations, it has no time to alter its tenses. “Set” wants something to do. There is always a “what” after “set” such as set the table, set your hair, set goals. After setting her purse on the table, Joan read the mail. Have you set a date with that cute guy yet? Set down the knife and raise your hands. 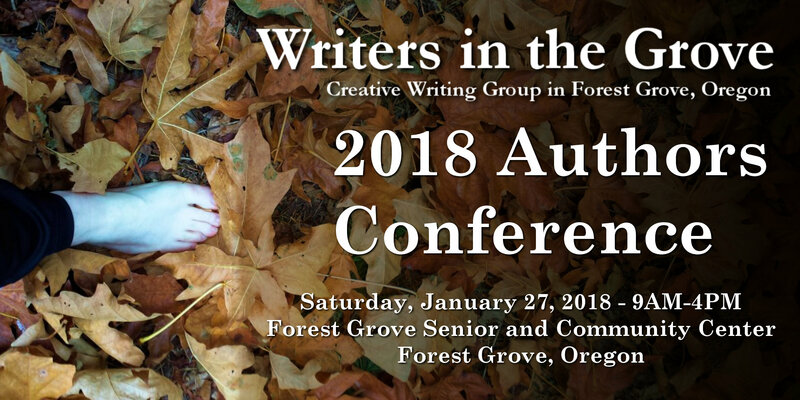 Writers in the Grove meets at the Forest Grove Senior & Community Center in Forest Grove, Oregon, each Monday (save holidays when there is a location change) year around from 9-11AM. The group also meets on the second Saturday of the month at theForest Grove Public Library from 10:30-noon. The meetings are free and open to the public. Bring water, pen, paper, and your imagination. See our About for more information, and contact us for more information.